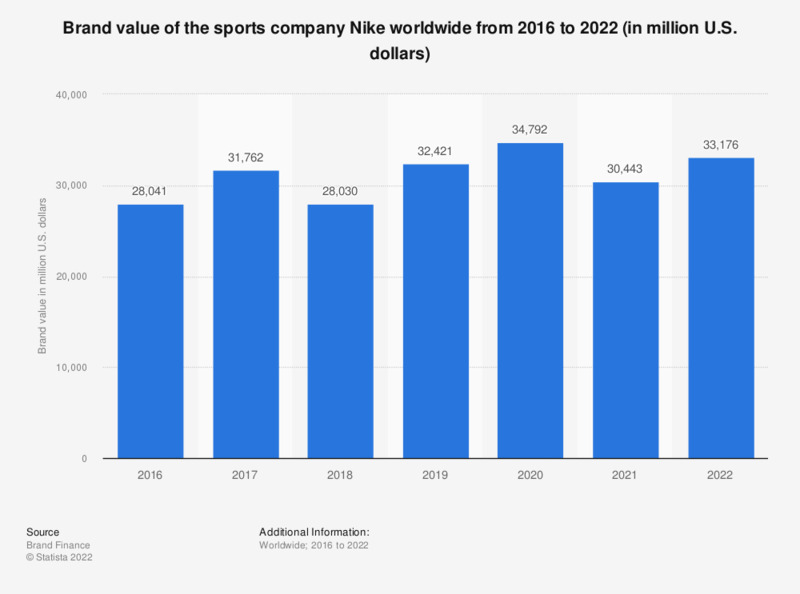 This statistic presents the brand value of Nike worldwide from 2016 to 2019. In 2019, the Nike brand was valued at approximately 32.4 billion U.S. dollars. In comparison the brand's valuation was 28 billion U.S. dollars in 2018.